Graduate students or advanced undergraduates who have research interests in environmental and natural resource economics are invited to submit an abstract for a designated student AERE sponsored conference session at the SEA meetings. Interested students should email Elaine Frey ([email protected]) a brief description of their research (no more than 100 words) by April 8. Presenters are not expected to provide a research paper and will not be asked to serve as a discussant. Benefits of presenting include getting valuable feedback on your work and opportunities to network with economists in the field. 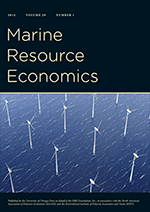 More information about the AERE sessions at the SEA meetings can be found here: http://www.env-econ.net/2016/01/call-for-papers.html.